Latin urban superstar Daddy Yankee will hit the Billboard Latin Music Awards stage for the worldwide television premiere of the smash hit “Despacito,” which continues to rule YouTube’s Global Music Top 100 chart, and is close to reaching one billion views on YouTube/Vevo. The song has been at the top of Billboard’s Hot Latin Songs chart for 11 straight weeks. 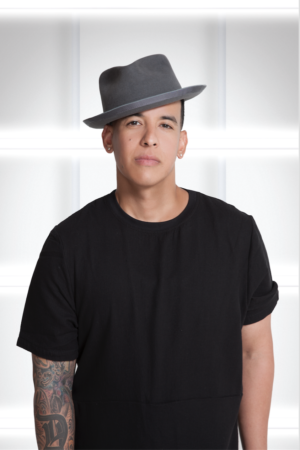 The Puerto Rican singer/songwriter will also perform one of his most recent hits, and will debut a new song, in addition to offering viewers a unique and exciting surprise act. The Billboard Latin Music Awards will broadcast live on Telemundo Thursday, April 27 at 8pm/7c, and simultaneously on the fastest growing Spanish-language entertainment cable network, Universo. Daddy Yankee is a world-renowned urban act. He catapulted to international fame with the launch of his album, “Barrio Fino,” in 2004, which became the first reggaeton album to reach the number one spot of the Top Latin Albums chart. He holds more No. 1s than any other act on the Latin Rhythm Airplay chart with 15. He has six No. 1s on the Top Latin Albums chart, and more Hot Latin Songs hits than any other urban singer with 51. This year he has already made the list seven times with “Shaky Shaky” “Sola”, “Otra Cosa”, “No Quiere Enamorarse”, “Hula Hoop”, “La Rompe Corazones” and “Despacito”.